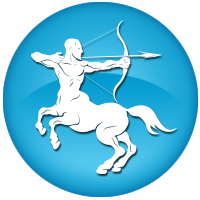 Sagittarians are very sensitive people and hence small tensions have an adverse effect on their health. Unwanted stress and anxiety should be avoided at all costs. They are likely to suffer from gout, rheumatic pain and lumbago. Mars and Saturn cause fractures, while Moon and Jupiter causes upset stomach or a weak digestive system or diabetes. Good nutritious diet and timely medication is of high importance.